Do you think you’re award-winning? We do! Chris Beaman is Assistant Director of Membership & Chapter Services at Kappa Delta Pi and an active member. Deadline has been extended to Friday, May 30 at 5 p.m.! 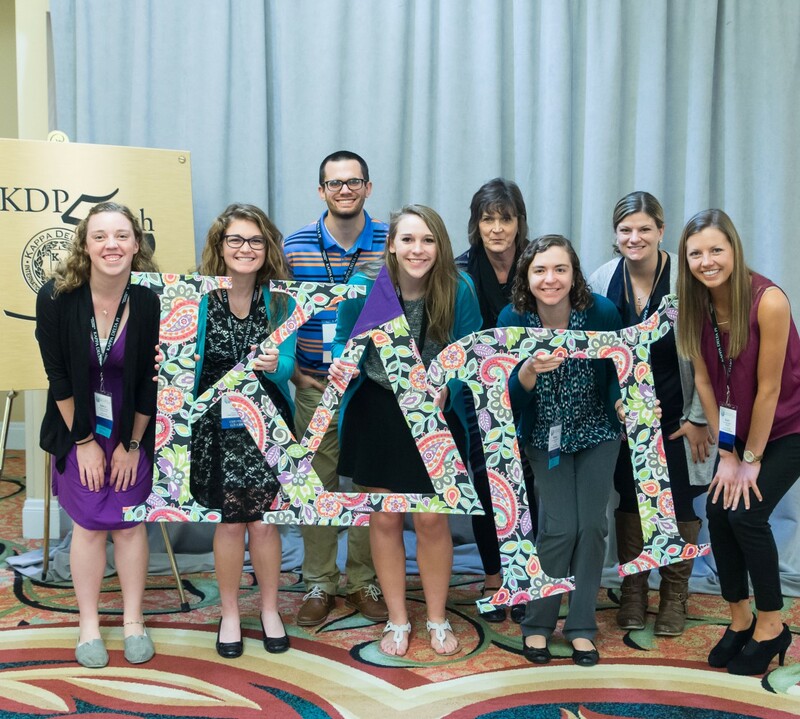 Recognizing excellence always has been a part of Kappa Delta Pi’s mission. The Awards for Education Excellence honor individuals and chapters for their significant contributions to the Society and the education world. We’re talking about members and chapter leaders like you! 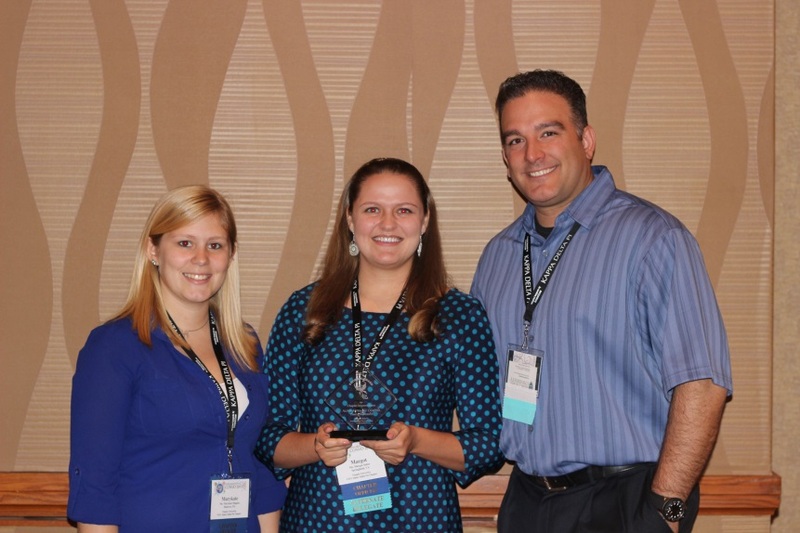 Alpha Beta Lambda/Oral Roberts receiving a program award in 2013. Find the eligibility, criteria, and requirements for the program award by clicking here. Go ahead and submit your form as well! 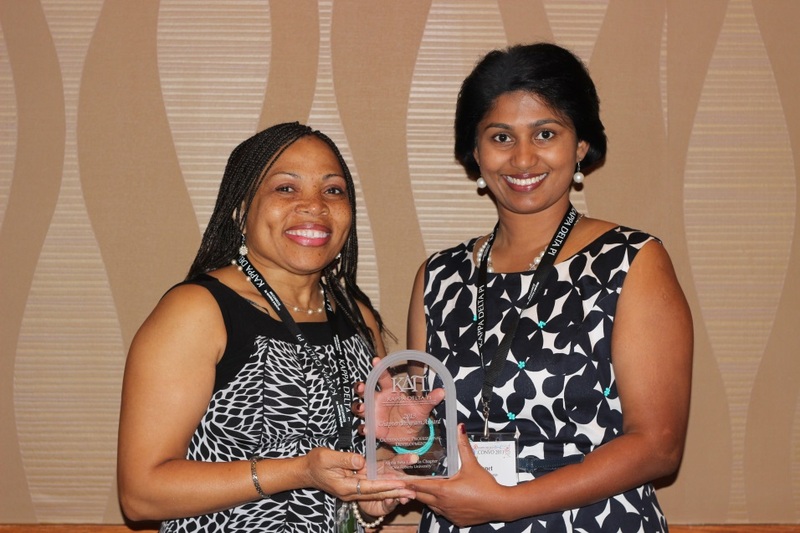 Alpha Alpha Nu/Temple receiving the Phoenix Award in 2013. Each year, we work with a number of chapters that find they have room for improvement. We are astounded by the effort put in by chapter leaders to strengthen chapter-member engagement, establish programs meeting member needs, and identify leadership opportunities for chapter members. Alpha Alpha Tau/Marian receiving the Distinguished Officer Award in 2013. Having a strong, engaged chapter directly correlates with having strong chapter leadership. Among various other responsibilities, chapter officers plan events, organize service projects, recruit new members, and maintain the sustainability of the chapter. The Distinguished Chapter Officer Award honors current or immediate-past officers who set positive examples for their chapters by representing the ideals of Kappa Delta Pi. All of our 600+ chapters are eligible to submit one officer for consideration. Whose name will your chapter submit? Find the eligibility, criteria, and requirements for the Distinguished Chapter Officer Award by clicking here, and submit the officer’s name before May 15 at 5 p.m. by clicking here. 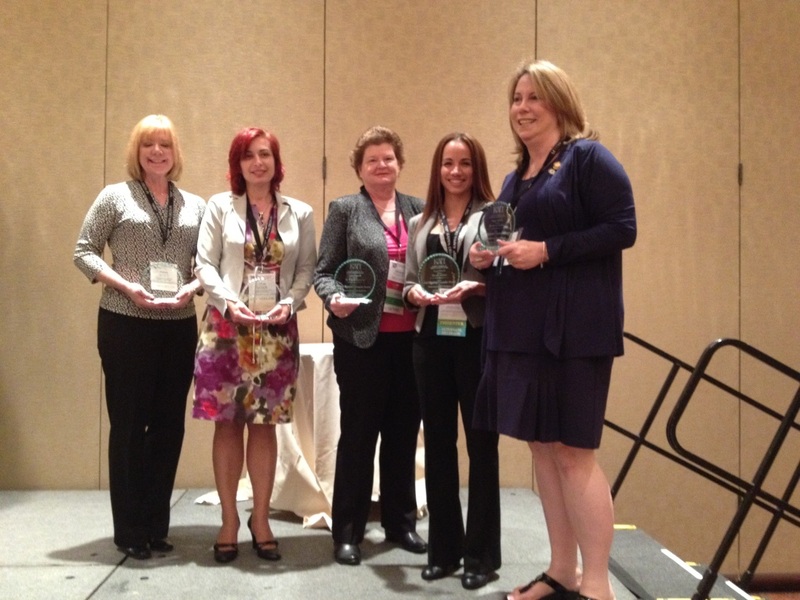 Regional counselors receiving their awards in 2013. We say (and believe) that the sustainability of our chapters depends on the commitment and leadership of the dedicated chapter counselors and the mentorship they provide to the students and members. How has your counselor impacted you individually and the chapter collectively? Submit his/her name for consideration of this prestigious award! I am looking forward to reading through the award applications as they come in. Part of my job is to compile the applications in order to send them to our reviewing panel, and it is a pleasure to read about the chapter successes and about the individuals who have made a positive impact on the chapter. The awards submitted are reviewed by a panel of judges, and award-winning applications will be announced on Wednesday, June 4. 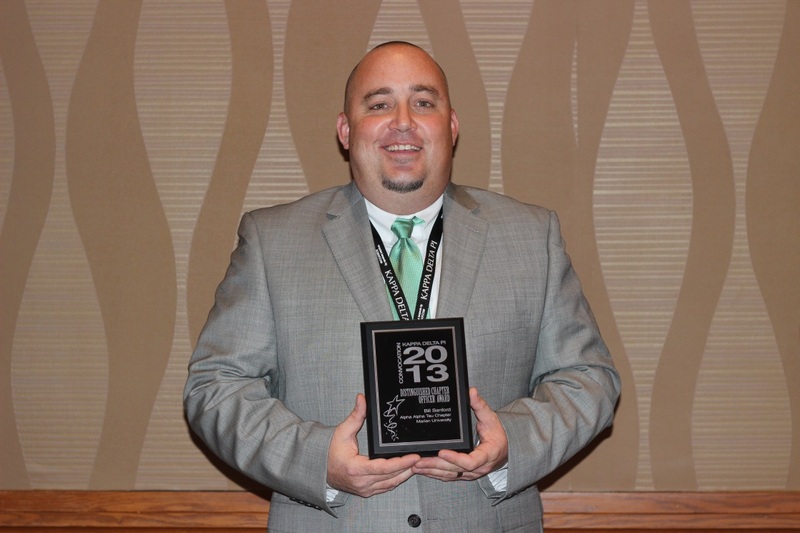 For more information about the Awards for Education Excellence and to view the recipients of our 2013 awards recognized at our Convocation in Dallas, please check out the Recognition pages on our website.